Whether you prefer rugged campsites without any of the comforts of home, or prefer the relatively cushy environment of a caravan, there are plenty of gorgeous campsites all over the UK you’ll love to explore. 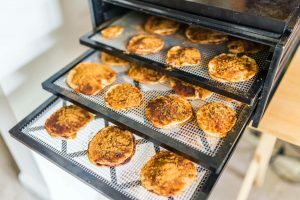 After a long day of hiking across the trails, you want camping food ideas that are easy to prepare, don’t require a lot of storage space, and taste delicious. 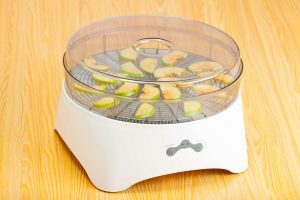 Here are 4 never-fail camping food ideas from the food dehydration experts at Dehydrated Foodz. Before you arrive at the campsite, there’s a long road ahead. Instead of stopping for takeaway food, pack some healthy snacks—even a lunch if it’s a long trip. 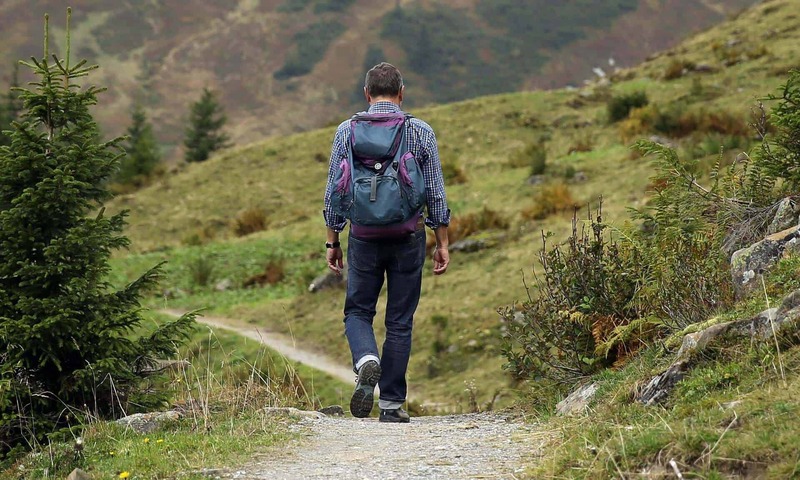 These easy snacks work equally well when you’re hiking along a remote trail. Homemade trail mix: One of most campers’ favourite road snacks is what most people call ‘trail mix’. Filled with high-protein nuts, dried fruits, and chocolate candies, it delivers on both the energy and protein sides of the nutrition pyramid. But there’s one problem. 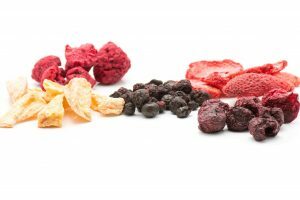 The preservatives and the sugar in commercial trail mixes. Instead, make your own. Buy low-salt nuts and combine them with your favourite homemade dried fruits. 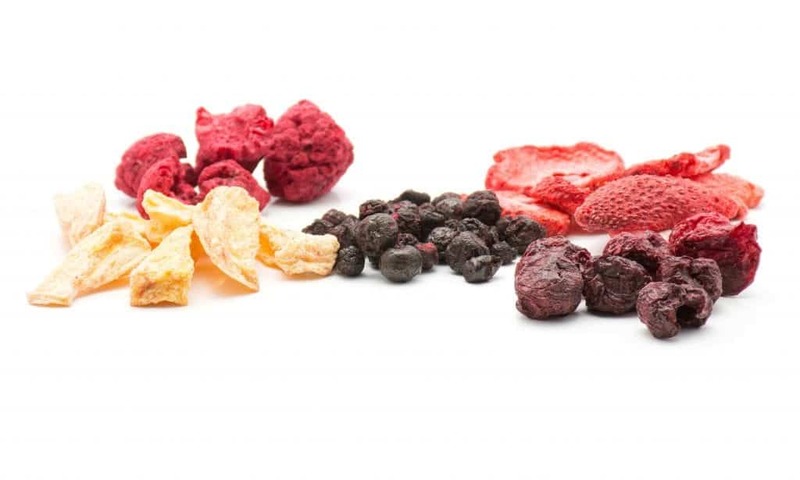 You’ll have all of the benefits of commercial trail mix, yet none of the downsides. 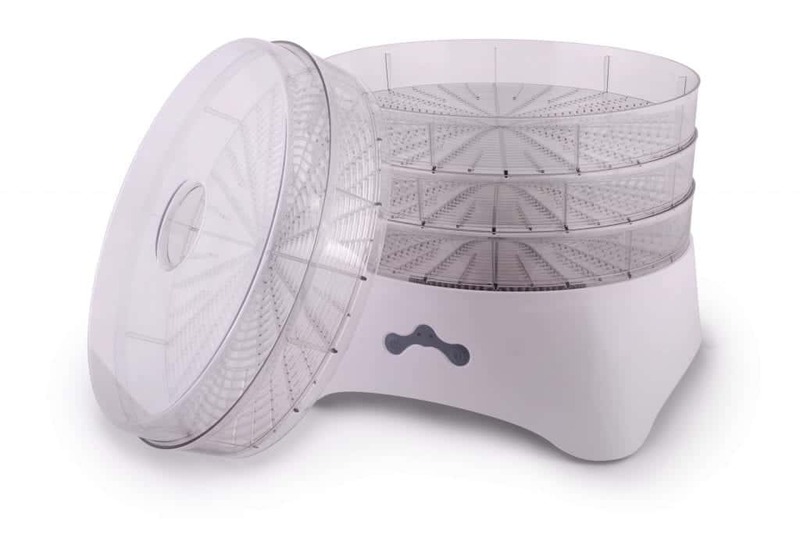 As for taste—nothing beats fruits you’ve hand-selected and carefully dried. Bottled water: When you travel, you often forget to hydrate. Or, perhaps even worse, you stop at roadside petrol stations to pick up cans of pop, coffee, tea, or sugary fruit drinks. By the time you arrive at your campsite, you’re frazzled, worn-out, and grumpy from either dehydration or low blood sugar. Instead, make sure you have plenty of water available as you travel. The night before, rehydrate some potatoes—some meat if you like–and your favourite fruit, and then gather wood for your morning fire. Make sure that you keep the meat refrigerated if you plan to rehydrate it. 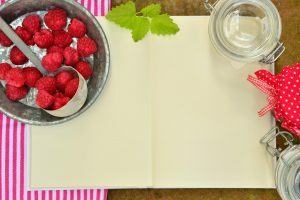 Oatmeal and Fruit: Make your oatmeal as you usually do at home, only in a proper pot for camping. Top them with the strawberries you rehydrated the evening before. If you have a cooler or a cool bag and brought along some cream, pour some on each bowl. The fresh taste of the rehydrated fruits sweetens the oatmeal naturally without your having to resort to sugar. Fried Potatoes with Meat: For this dish, you’ll need a grill to set your frying pan on over the fire. Pour a little oil into the frying pan. When it heats up, add the meat and then the potatoes. Keep an eye on the dish so it doesn’t burn. Campfires aren’t as dependable as your home stove. The meat will season the potatoes—and the smoke from the fire will give you a fabulous flavour you can’t find anywhere else. Serve the rehydrated fruit on the side. After a day of hiking or sightseeing, you’ll want a hearty meal at the end of the day. Soups and stews are always welcome, while wood-fire grilled meat with kale chips on the side always hits the spot. Soups and stews: Instead of commercial soup or stew mixes—which usually contain an overabundance of sodium–consider making your own. 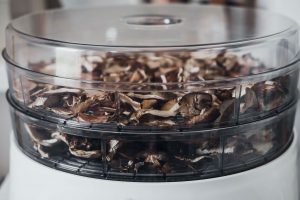 If you have some dried veggies and herbs, use them, mixed with water, as the base for your dish. Dried onions and garlic add a more intense flavour. Don’t use water from a brook or spring to cook with unless you boil it for about a half-hour to kill the germs. If you plan to include meat, rehydrate it first so the flavours can blend better as the soup or stew cooks. 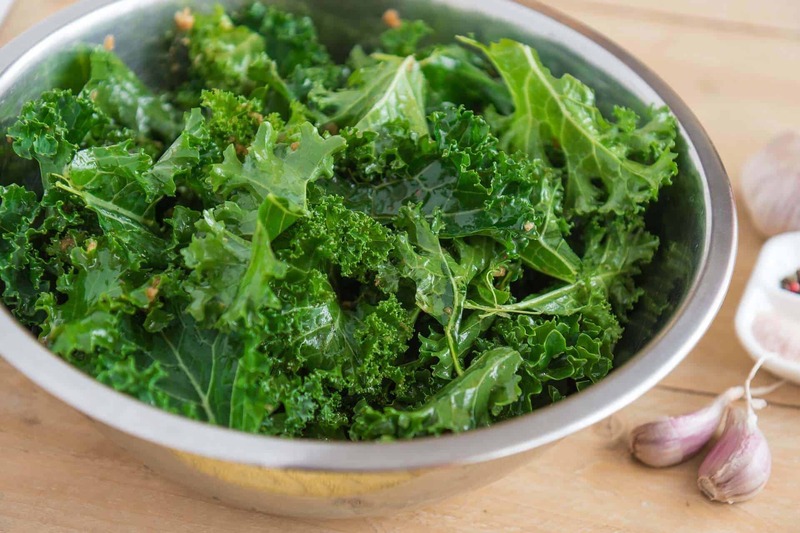 Grilled meat with kale chips: Instead of carb-laden potato chips, use homemade kale chips as a side dish to go with your grilled meat. If you don’t have a grill, you can lash several good-sized green sticks together to make a ‘basket’ that you can hold over the fire to cook the meat. Nothing in the world tastes better than meat grilled over a fire. If you’re camping near the sea and have caught (or bought) some fresh fish, use them instead of the meat. Dessert just tastes better when you eat it outdoors. If there’s anywhere you want to splurge, dessert is where you can indulge. After all, you’re on holiday! S’mores: This campfire classic smashes a roasted marshmallow or two between two graham crackers and a flat piece of chocolate for a sweet combination that’s nearly everyone’s favourite. People on special diets can buy specially made marshmallows so they don’t miss out on this time-tested treat. Marshmallows’ popularity has made them available in halal, kosher, vegetarian, and vegan versions. 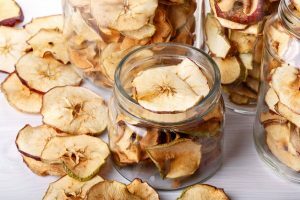 For a healthier alternative, replace the chocolate with rehydrated slices of apples or pineapple. 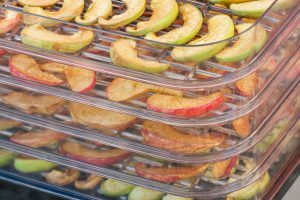 Toasted Taffy Apples: This time, you’ll need fresh whole apples and firm toasting sticks with pointed ends. Pierce the stem end of the apple on the pointed end. Push it onto the stick. Roast it over the fire until the skin looks like it is ready to peel. Remove the apple and peel off the skin. Roll it in some brown sugar to coat the outside of the fruit. Place the apple back onto the stick. Roast it until the outside caramelises. 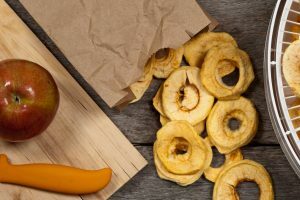 With these camping food ideas to get you started, use your imagination to create even more delicious camp food. 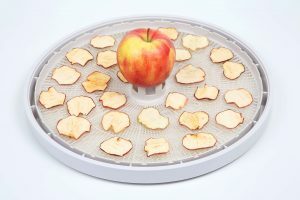 For more ideas to help you get the most out of your food dehydrator, contact the friendly team at Dehydrated Foodz today.